Chiron Health is the only platform designed to get providers fully reimbursed for secure video visits. From routine follow-ups like reviewing labs or adjusting medications, to minor urgent care, video visits are an ideal way to provide high-quality care to patients without the hassle of an office visit. 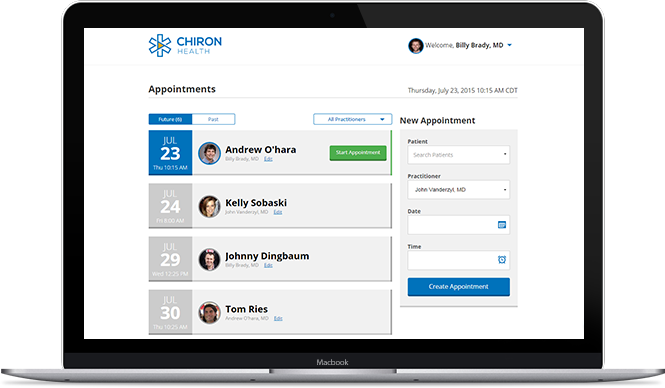 Watch a video of our Founder and CEO, Andrew O'Hara, walking you through a demo of the Chiron Health platform. Telemedicine allows you to spend more time doing what you love!